Entrepreneurs are always looking for ways to cut costs. That’s understandable. After all, cash is the lifeblood of any business, and once you run out of it, you’re done. 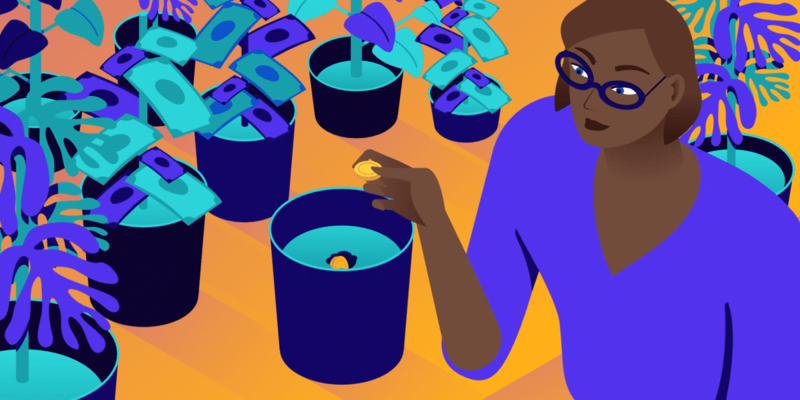 However, it’s one thing to be frugal and manage your budget wisely, and it’s another thing to be a cheapskate and refuse to spend money even when it makes sense. In fact, quite often when people think that they are saving money they are actually being penny wise and pound foolish, and are hurting their businesses. No matter how many times you multiply a zero, the grand total of all multiplications will always be zero. If success came at no cost, everybody would be a millionaire, right? The reality is that sometimes you have to spend money to make money. But what exactly should you invest in to grow your online business? Let’s take a look. Hosting has become extremely affordable, almost to the point of it being silly. You can get it for a few dollars per month. So why would you want to spend more than that? 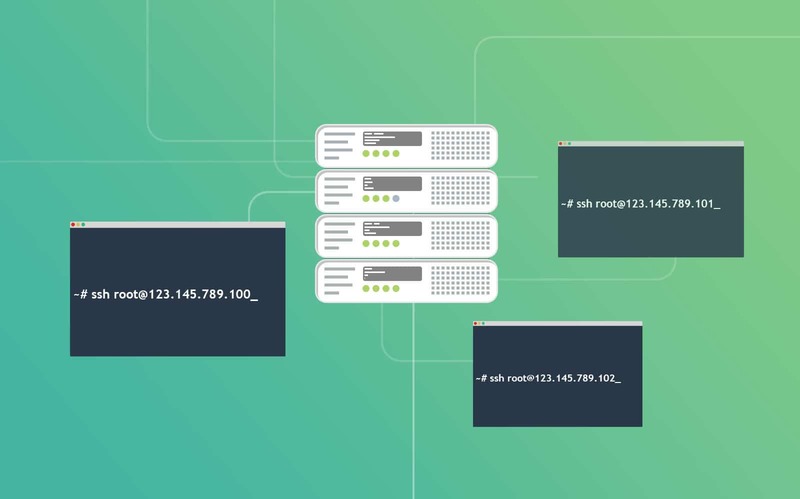 It’s important to understand that hosting quality affects the performance of your website, the two most important metrics being speed and uptime. Website loading speed might not seem like an important issue. A few seconds here or a few seconds there can’t make much of a difference, right? Wrong. 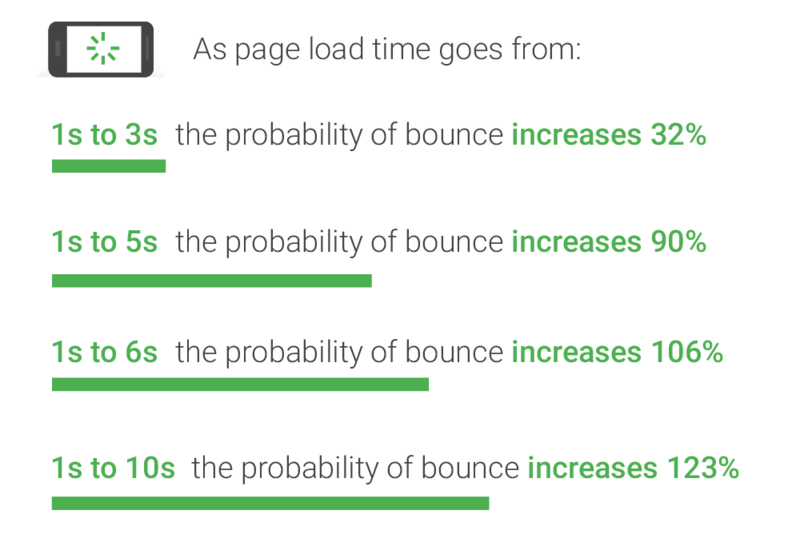 In fact, Google found that 53% of mobile visits are abandoned if the page takes more than 3 seconds to load. Meanwhile, the majority of mobile landing pages they analyzed take twice as long to load. Moreover, according to Akamai research, a 100-millisecond delay in website load time can hurt conversion rates by 7%. To put that into perspective, a single blink of an eye lasts between 100 and 400 milliseconds. It can be hard to grasp the importance of website loading speed because it doesn’t really make sense from a rational perspective. Surely, people can’t be in such a hurry that one second (or even less than that) would make them abandon the site? But the data is clear — speed matters. And hosting is a major factor when it comes to website loading speed. In order to make your website lightning fast you need a host that uses the latest technologies such as Nginx, PHP 7, MariaDB and LXD software containers. You can’t fully optimize your website for speed without a hosting architecture that is conducive to that. Another important thing to consider is uptime. It’s the amount of time during which a server stays in operation. Put it simply, if the uptime is 99% that means that you can expect your website to stay online 99% of the time. In other words, downtime is terrible for business. And what is the most important factor when it comes to downtime? Hosting. What people often don’t realize is that companies that offer cheap hosting can do so because they provide shared hosting. That means that your website might be sharing resources with 200+ other websites. That’s a precarious situation to be in because you have no control over what’s happening with the other sites. A problem with one of them might impact the performance of your website. Finally, cheap hosting companies simply can’t afford to hire enough technical support people, which means that if something goes wrong, it might take them a while to solve the problem. So if you pay $10 per month for hosting, but what you get is a slower website loading speed, more downtime, and less reliable support, are you really saving money? Or are you losing money because of the suboptimal performance of your website? 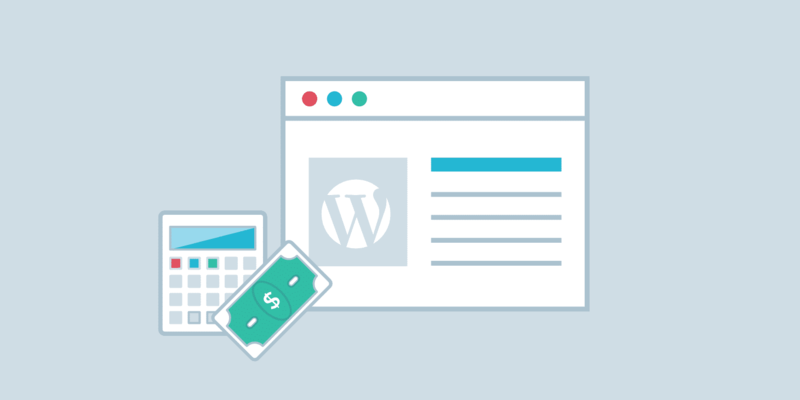 Investing in premium managed WordPress hosting will help you to optimize your website for speed, minimize downtime, and get reliable support if you run into any problems. Plus, you won’t have to worry about other problems like security breaches, DDOS or XML-RPC attacks, or having to back up your site. Kinsta even offers free hack fixes if your WordPress site is compromised. 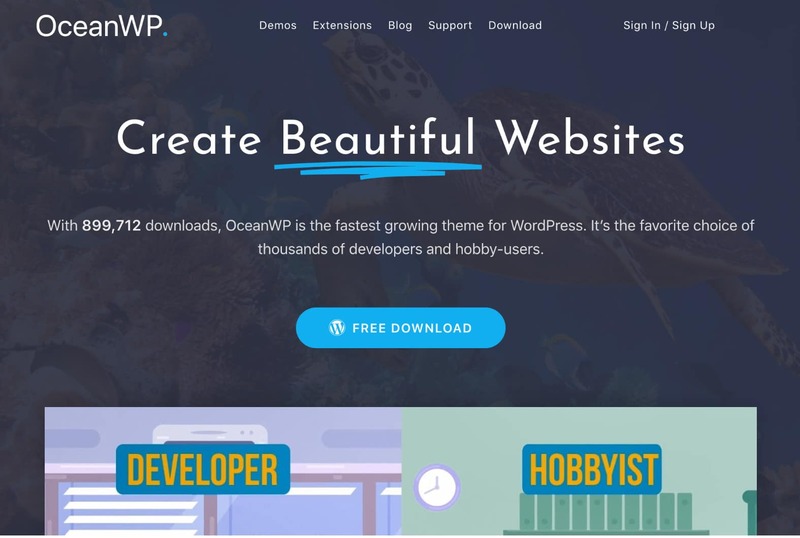 There are thousands upon thousands of free WordPress themes out there. They usually aren’t optimized for speed. Redundant code, unnecessary page elements, outsized image files… All these things can slow your website down significantly. And you already know that even a tiny loading time delay can hurt your bottom line. They are not optimized for conversions. The purpose of your website is to sell your products, and every page on it should be designed with the aim of nudging the visitor towards the next step in the sales funnel. Most of the time, they aren’t unique. You don’t want your website to look like a carbon copy of other sites in the same space. Its design should be consistent with your brand and help you stand out among the competition. 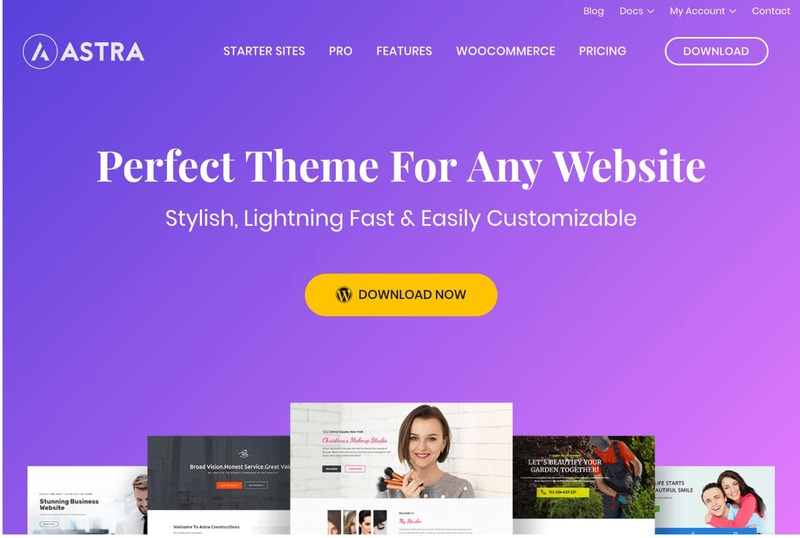 Moreover, free themes are often not tested thoroughly enough before the release, which means that they might have bugs, not work well on all browsers, not work well on all devices, etc. Also, you can’t expect to get instant support with a free theme, which means that you’ll have to figure everything out yourself. Do you really want to spend hours on WordPress forums trying to fix some minor issue? 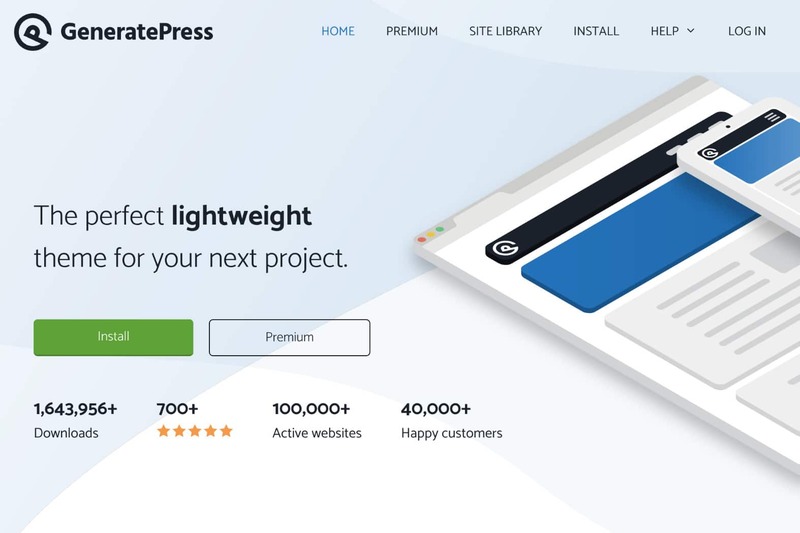 That is why it’s better to get a premium WordPress theme that is fast, optimized for conversions, and customizable enough to make it truly yours, that also comes with reliable support. 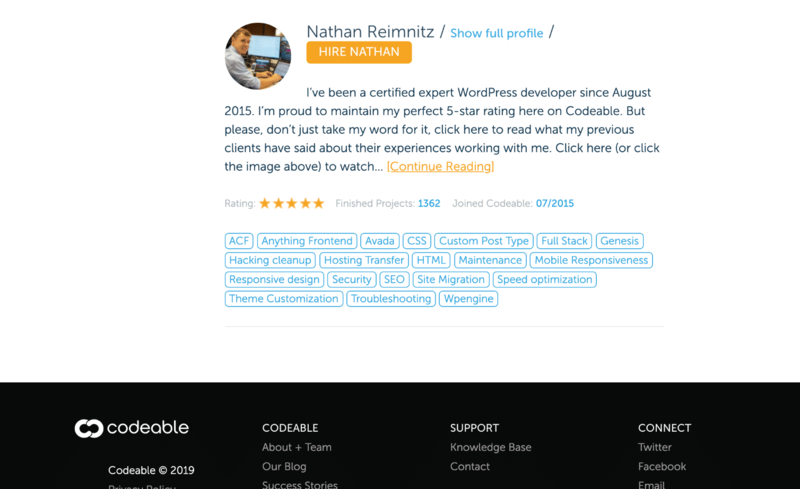 Here are some WordPress themes we recommend checking out. While there is a free version available, you’ll want to invest in the premium version to take advantage of all the customization features. However, if you can afford it, then you might want to consider hiring a web designer or developer on a site like Codeable and getting a custom design that is tailored for your business. Finding the right person who understands your vision and has the skills to bring it to life can be a bit tricky. Look for someone who has done work for similar businesses in the past (say, if you have an online store, search for a designer who has worked with ecommerce companies before, etc.). Also, make sure that they understand how design intersects with business and can explain how they are going to use design to help you make more sales (in other words, they should have a solid knowledge of conversion rate optimization). At first, investing in design might seem somewhat frivolous, but nothing could be further from the truth. After all, the design of your website directly affects the behavior of your visitors, and making your website more visually pleasing and easier to use can have a drastic impact on your bottom line. When we launched the new Kinsta website in 2017, we worked with a talented outside agency. Fast forward a couple of years, and those individuals are now part of the Kinsta team. 😄 We definitely had to invest more (both in terms of money and time), but it was well worth it in the end. You can find a free app for pretty much anything. However, it’s important to understand that “free” almost always means that the people behind it can’t spend much time, energy, and money on updates, development and support, which leads to a subpar product when compared to the premium options. Developers and software creators have families to feed, just like the rest of us. Basecamp is a team communication and project management app that helps you to stay on top of things when working with a remote team. No more chaos! 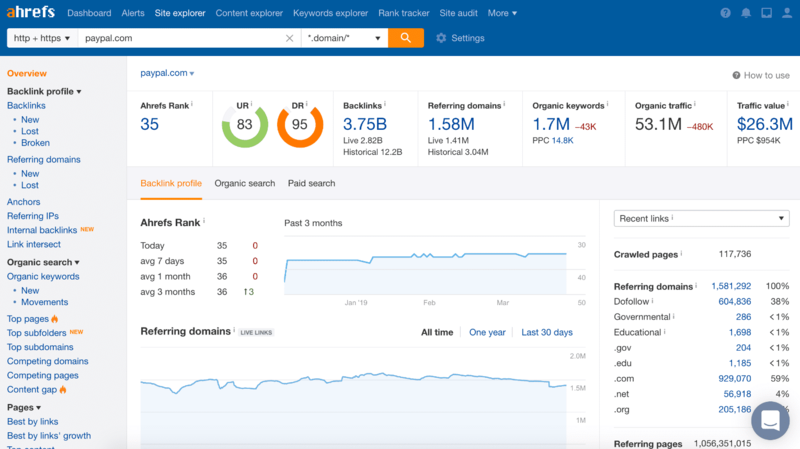 Ahrefs is an all-in-one suite of SEO tools that helps you research keywords, build links, conduct site audits, and more. We use this tool at Kinsta and it easily pays for itself. In fact, this tool is one of the reasons we were able to grow our website traffic by 571% in just 13 months. 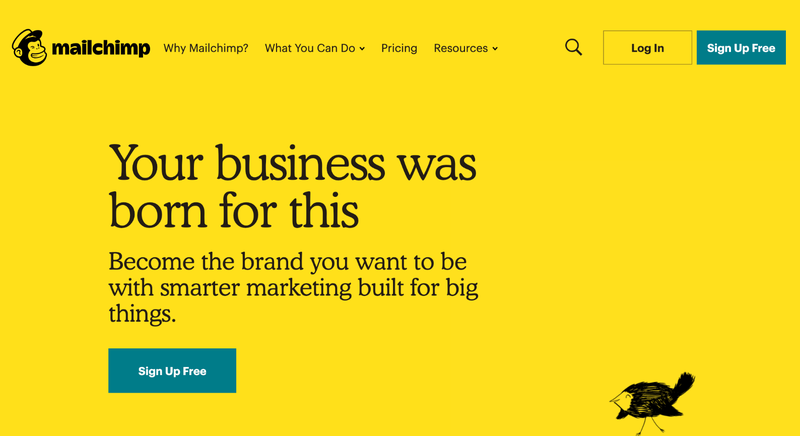 MailChimp is an email marketing app with which you can build your email list, send out blasts, set up an autoresponder sequence, and more. We use MailChimp every week at Kinsta to publish our newsletter. 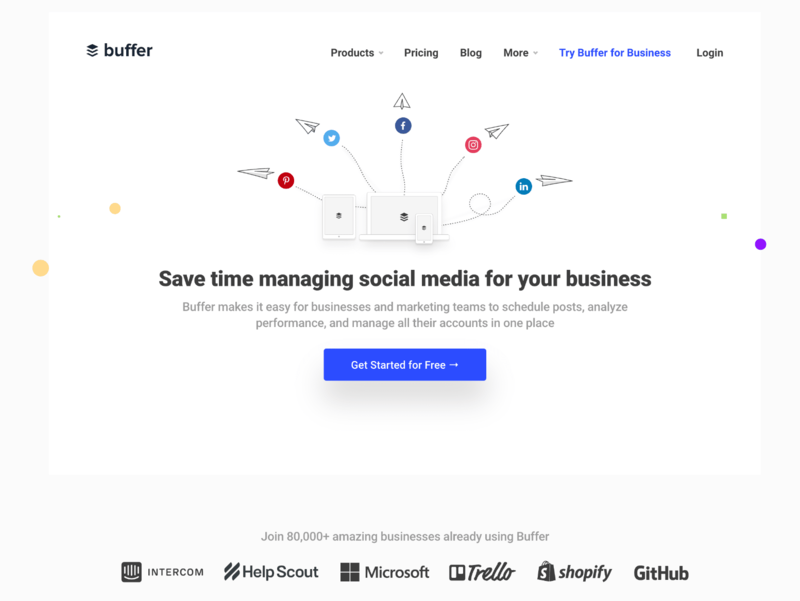 Buffer is a social media marketing automation software that helps you grow your social media following on auto-pilot through scheduling updates and managing all of your accounts in one place. Everything you see from the marketing team at Kinsta goes through our Buffer account! Yes, you can find free alternatives to all of them, but free apps won’t be as powerful as the premium ones. Moreover, trying to do the same things with free apps, or, even worse, manually, might turn out to be extremely time-consuming. Investing in premium software can save you time, make you more effective at your day-to-day tasks, and help you grow your business faster. Don’t hesitate to do it if you can afford it. 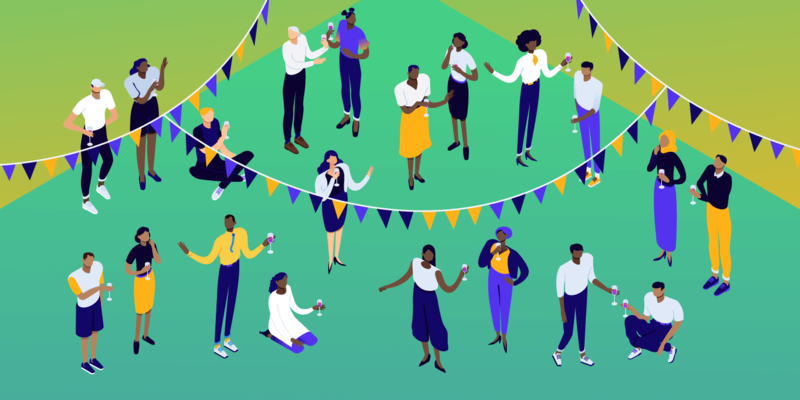 Make sure to also check out the 20+ other SaaS apps we use to Kinsta to grow our business. Inbound marketing is all about pulling people in through content. Things like SEO, content marketing, email marketing, etc. are all inbound methods because you are pulling the potential customer in. However, now that companies all over the world are using it as their primary marketing strategy, it has become extremely competitive due to the sheer amount of high-quality content out there. This means that you need to consistently produce top-notch content if you want to build a blog, a podcast, or a Youtube channel. Do it yourself. This can work well if you already have the skills required to excel at your chosen medium. For example, if you have previous experience writing for online publications, then you should be able to write quality articles for your own blog. However, even if you know what you are doing, producing quality content takes a lot of time. Hire people. This is what you should do if you don’t have the required skills. For example, if the last time you wrote something more substantial than an email was your SAT essay, then you might want to consider hiring a writer for your blog. Of course, in theory, you could learn the skills you need from scratch, but in practice, this would be extremely time-consuming and therefore not feasible for people who already have a lot of responsibilities. It is important to understand that content is never free. You are either paying for it with time or you are paying for it with money. The former makes sense when you are strapped for cash, but the latter might be a better option if you can afford it. Also, even if you want to produce the content yourself, don’t be afraid to invest in making it better. 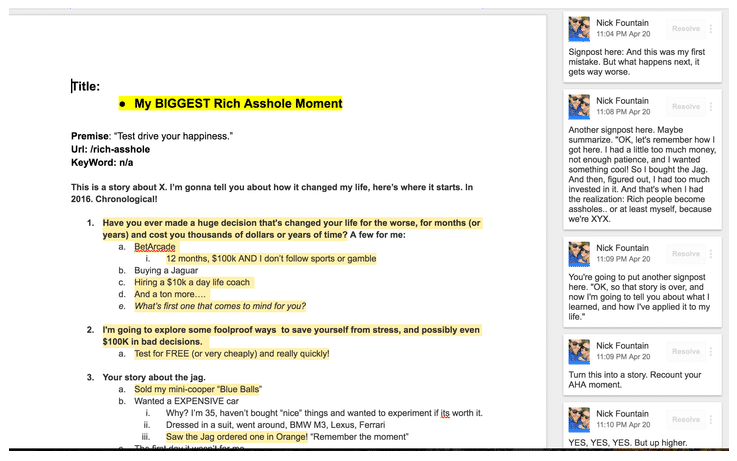 For example, Noah Kagan, the founder of AppSumo, has a podcast called “Noah Kagan Presents”. “After releasing a couple episodes of my show, I realized I needed outside help to make my podcast GREAT… I decided to ask an expert to ‘coach’ me on how to make a good podcast. So he reached out to an NPR producer Nick Fountain who then agreed to give him some feedback. Noah says that he didn’t realize how much help he needed until he saw those comments. Bottom-line: The lessons I learned DRAMATICALLY increased the quality of my podcast. Getting that kind of help from an experienced professional can significantly improve the quality of your content. Outbound marketing is about reaching out to people. It is true that old-fashioned methods like billboard, newspaper, magazine, radio and TV ads are losing their effectiveness. However, modern methods like Facebook ads, Instagram shoutouts, and podcast ads can work well. But aren’t ads considered inbound marketing? Yes, and no. Marketers will argue both sides of whether or not things like PPC is an inbound or outbound strategy. Typically outbound means it is trying to interrupt your daily workflow and catch your attention. Which is what ads do. However, ads can also pull people in using your awesome content. 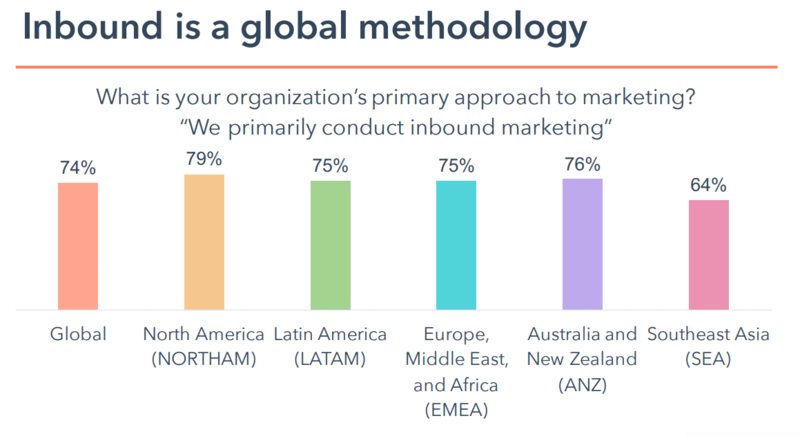 So regardless of the strategy definition, the important thing here is to supplement inbound with outbound. For example, Laura Roeder, the founder of MeetEdgar, used Facebook ads to get her startup off the ground. In her interview on Indie Hackers podcast, Laura said that while she was a huge fan of content marketing, she knew that it takes time to get results with it, which is why she chose to focus on ads when they launched, spending as much as $40,000 per month on Facebook ads. 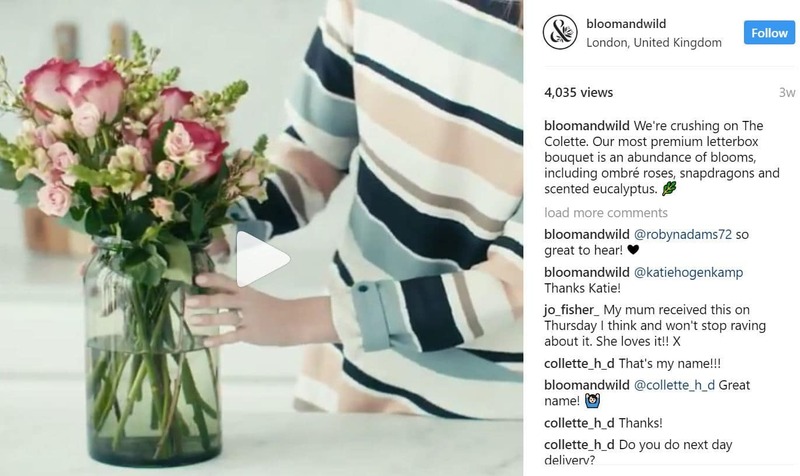 Meanwhile, the flower delivery startup Bloom & Wild had success with Instagram ads. 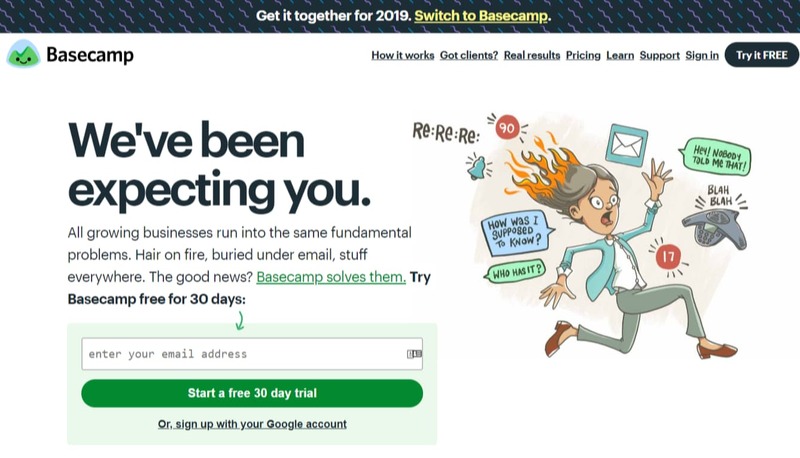 They had a limited budget, so they used their email list to create a lookalike audience, and then showed their ads to the people similar to their email subscribers. Then, after some testing, they realized that video ads were most effective, and decided to double down on them. The result? Their bouquet orders increased by 62%. And MeUndies, a company that sells “the world’s most comfortable underwear”, used podcast ads to get the word out. They advertised their products on some of the most popular podcasts in the world including “The Tim Ferriss Show” and “Joe Rogan Experience”. Advertising is the most straightforward way to get sales because you put your product right in front of potential customers. So don’t be afraid to pay money for ads if you can figure out how to run them profitably. There’s the underlying economic reality that you need to consider. A low-end product will almost always be inferior to a high-end product. Why? It’s because the company that makes the high-end product can put more resources into it. 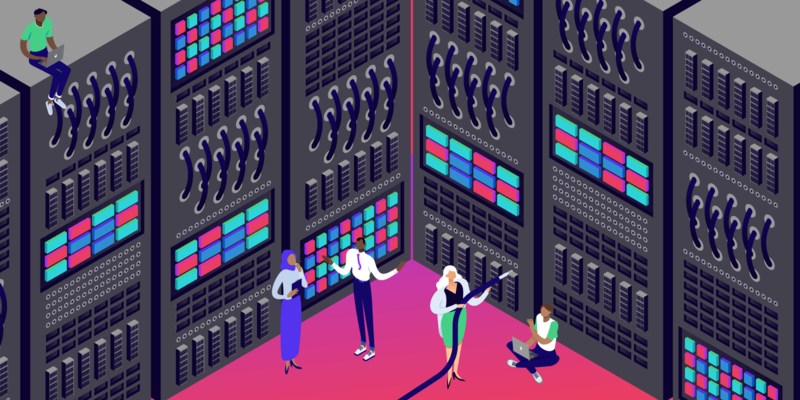 For example, as our CFO explained in his article about the web hosting industry, a company that offers $10/month hosting needs 1389 customers to hire one system administrator. He then encourages people to set their expectations accordingly. The same applies to everything else. Someone who releases a free WordPress theme or a free app is most likely doing it as a hobby. Or the only reason they have the free version is to upsell to the premium one. They probably have a job to pay the bills. This places severe restrictions on the amount of time, energy, and money they can spend on their product. They probably can’t compete with a company that has a team of people working on similar software full-time. Now, this is not to say that you should never use free or low-end products. They might work perfectly fine for personal projects. There are also a lot of great open source projects out there. However, when it comes to business, it’s best to be wary of such “bargains”, because they are likely not cheap at all once you account for everything (lost productivity, lost sales, slower growth, etc.). Obviously, in the ideal world, you’d have unlimited money to invest in your business and would get the best of everything. However, that is not the world we live in, and you don’t have unlimited money to invest in your business. And that is why it’s important to understand trade-offs when considering where to spend and where to cut costs. For example, a cheap hosting will cost you less, but will lead to slower loading speed, less uptime, and delays in fixing problems, which in turn will lead to lost sales. Is the money you would save worth it? Or, a free app will cost you nothing, but due to its limits completing the same task might take 5 hours more, which means that you will have 5 hours less available for other work. Is the money you would save worth it? Or, you could write that blog post yourself, but it will take you 10 hours to do it, which again means that you will have 10 hours less available for other tasks. Is the money you would save worth it? Time vs. Money. You can spend time and save money, or you can spend money and save time. Which resource is in shorter supply at the moment? Short term gain vs. Long term gain. You can save money now but lose money in the long run or you can spend money now and save money in the long run. Which is more important? There are no right and wrong answers to these questions. It all depends on your particular situation. Only you know what is right for your business. For example, if you are running out of money, then you should prioritize short term gain to keep your business afloat even if it hurts you in the long run. Meanwhile, if your financial situation is stable, then you should prioritize long term gain even if it stings a little bit in the short term. However, whatever you do, remember that each decision has both positive and negative consequences, and you should weigh them carefully. Thinking in terms of trade-offs can help you gain some clarity, because it’s easy to get so carried away with cutting costs wherever possible that you lose sight of the big picture. Nobody is saying that you should spend money that you don’t have. However, you need to be willing to invest in your business if you want it to grow, otherwise, it will be next to impossible to take it to the next level. Or it might take you a lot longer than you’d like. So never let the impulse to save a few dollars today get in the way of the long term success of your business. Don’t be afraid to spend money to make money. We would love to hear your thoughts on this topic! Leave them below in the comments.